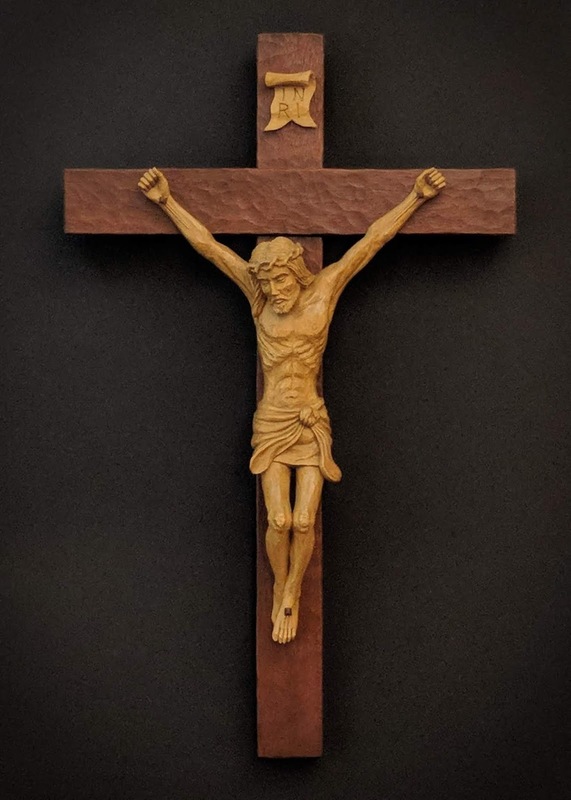 Crucifix carved from basswood with stains for color. Approx. 14 inches tall. If not found, try this blog search.